City council voted to sell the Vimy Arena to the province of Manitoba Thursday to help create the Bruce Oake Recovery Centre in St. James. Winnipeg will sell the unused facility, valued at $1.43 million, to Manitoba Housing for $1. After zoning changes are made, the province will then be able to lease the land to the Bruce Oake Foundation for $1 a year for 99 years so a recovery centre can be built. Mayor Brian Bowman said the Bruce Oake Recovery Centre could be "extremely positive" for Winnipeg. ​"There is a desperate and urgent need for more treatment facilities," he said. "The decision today is simple. Do we want to help or do we not want to help?" Two councillors were not present for Thursday's vote which made the two-thirds vote required for the sale tighter than proponents would have liked. Coun. Russ Wyatt (Transcona) was away for personal reasons while Coun. Jeff Browaty (North Kildonan) was away on vacation. In the end, 11 members of council voted for the sale while Coun. Shawn Dobson (St. Charles), Coun. Jason Schreyer (Elmwood) and Coun. Ross Eadie (Mynarski) voted against. The Oakes hope to begin construction of their recovery centre in the summer of 2018. Every week, Bowman said, he and other members of council have heard arguments from opponents of the Bruce Oake Recovery Centre that muddled and confused the debate. He said people with addictions and the Oake family have been "stigmatized and demonized" by local residents against the project. 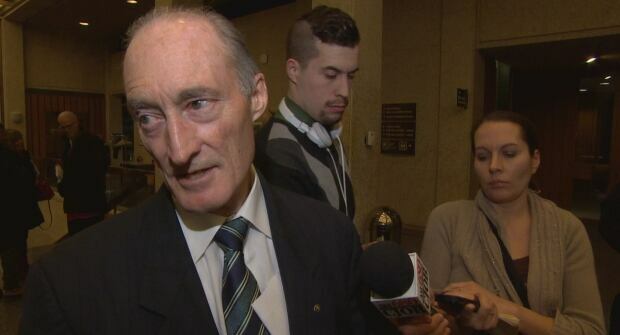 "I don't believe we build a better Winnipeg by tearing each other down," said Bowman. On Thursday members of the Crestview community along with local MLA Steven Fletcher spoke out against the centre, citing concerns about children playing near the facility, the fact it would not serve women with addictions, the need for more recreation space in the neighbourhood and a lack of consultation with the community prior to the deal coming to light. Vicki Fedak, a resident who has lived in Crestview for more than 40 years, urged council to put a pause on the sale and explore other options for treatment centre locations. "Why is this being rushed through in three council meetings in three weeks?" Another resident, Kim Riddell, said in delegation Thursday that barring women from the long-term treatment facility is akin to barring Indigenous or Jewish peoples from treatment based on their heritage or identities. "Women are being left out of this proposal," she said. "Discrimination is discrimination is discrimination." 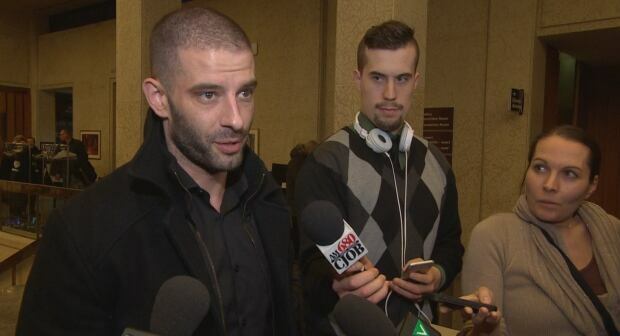 Darcy Oake, who spoke for the Bruce Oake Foundation — named after his brother, who died of a drug overdose — said he was relieved after council voted in their favour. "It's been an extremely emotional day," he said. "We couldn't be more grateful for the outcome." Oake told councillors that his family, including parents Scott and Anne Oake, have done everything in their power to abide by proper protocols to acquire a space for their centre. Many private funders have hinged their contribution on the Oakes getting a (virtually) free space from government to build, he said. "We followed the process exactly as it was outlined to us," Oake said. "We walked through the front doors of both levels of government and asked for help." Oake said plans for the proposed recovery centre would not take away any outdoor space, including areas near Sturgeon Creek, from the community's use. He said research, not a gender bias, is the reason why the facility would be for men only. "It's proven that segregating men and women in long-term treatment [is better] than if they are together." The responses failed to stem concerns from some neighbourhood residents. Gregory Hammond, a local resident who opposed the centre, remained concerned after Thursday's vote that it will mean a loss of parkland for the community. Hammond told council earlier a loss of green space and recreation space could have an negative effect on the health of citizens in the area. The city declared the Vimy Arena surplus in 2013. In response to the mayor's comment that Hammond and other opponents "stigmatized and demonized" drug users and those who support them, Hammond was quick to accuse the mayor of spreading "false news." "I say there has been many claims made against people who have stood up for themselves who have tried to stand up for the benefits of their community," said Hammond. "[They] have also been demonized." Earlier on Thursday, Winnipeg city council voted unanimously in favour of an audit into the Sterling Lyon extension project that once threatened to see the freeway run through a semi-rural neighbourhood. The Sterling Lyon project prompted intense backlash this fall when homeowners south of Wilkes Avenue discovered the proposed route for the extension would require the full or partial expropriation of dozens of properties, including at least 10 homes. The proposed route — which differed from three others earlier presented to residents — was later scrapped. The audit approved on Thursday will focus on the actions of elected and non-elected city officials who were involved in the Sterling Lyon study from its inception to present. Coun. Janice Lukes (South Winnipeg) said the mismanagement and lack of oversight associated with the Sterling Lyon project were symptoms of poor leadership. She said the audit would bring accountability. Coun. Marty Morantz (Charleswood-Tuxedo-Whyte Ridge) said the audit will be "comprehensive" and will have a May 1 deadline.